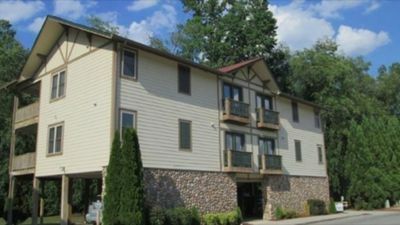 SUNRISE SUMMIT is located about a 6 minute drive from downtown HELEN GA. Luxurious and well maintained this is a favorite among our guests. 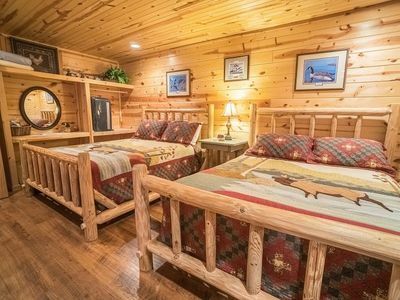 This cabin has two MASTER BEDROOMS, an indoor Jacuzzi TUB and a Hot Tub on the Back Deck just feet from the downstairs Master bedroom. 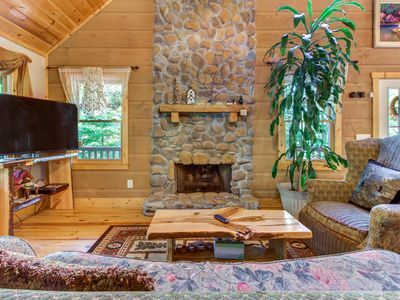 You can practically step out of your bed and into the HOT TUB. 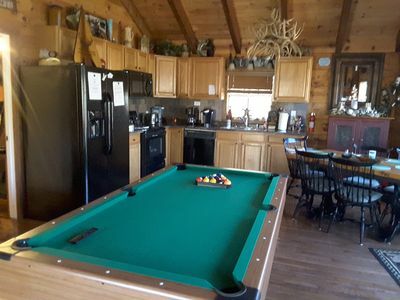 The game room features a FULL SIZE POOL TABLE, a couch to relax on and a FLAT SCREEN TV for your entertainment. 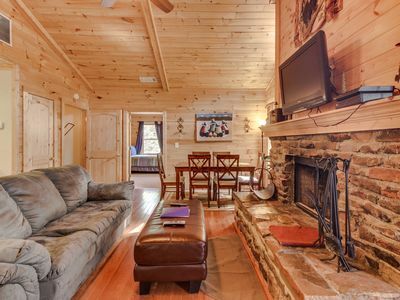 The living room has another BIG flat Screen TV and a WOOD FIREPLACE. 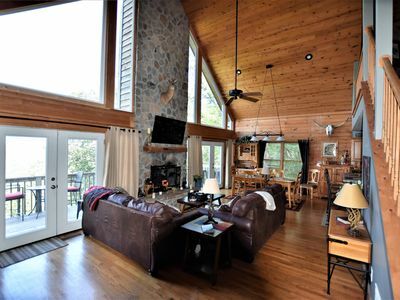 The kitchen is an open floor plan so everyone feels connected. 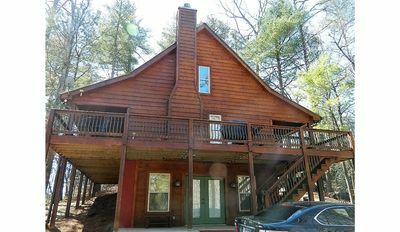 Sitting on top of the MOUNTAIN in beautiful Panorama Estates, this 2200 sq. 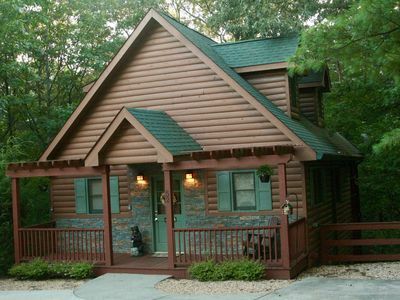 foot cabin is available with all the comforts of home and then some. 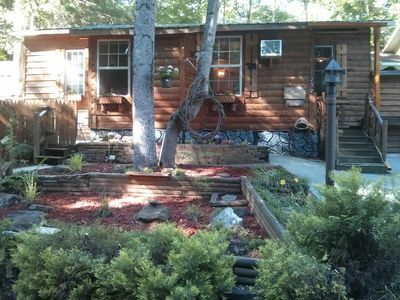 ENJOY a paved driveway all the way to the Sunrise Summit cabin with spacious parking for 3 vehicles. 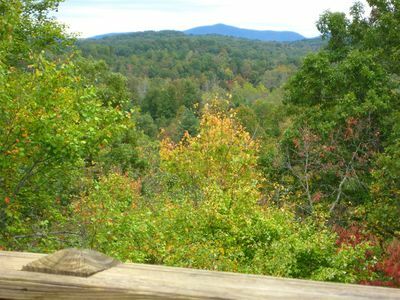 The mountain VIEW from the back deck will make you wish you could stay forever – the SUNRISE over the mountain is AWESOME! 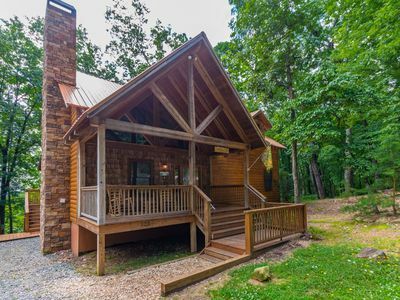 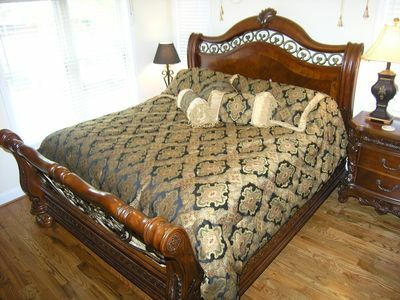 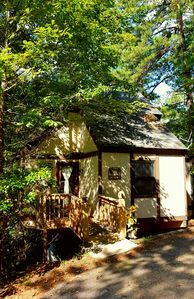 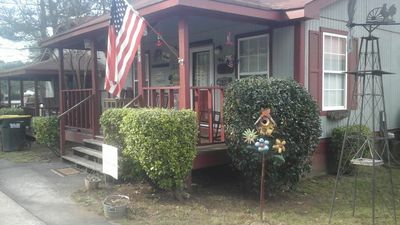 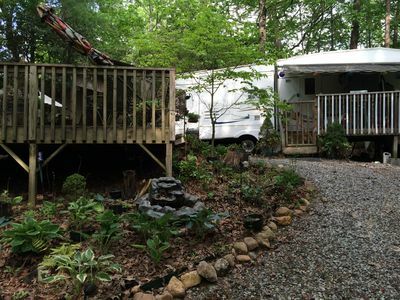 Located only 5 miles from HELEN GA and 6 miles to the popular Edelweiss German restaurant, this cabin is sure to please. 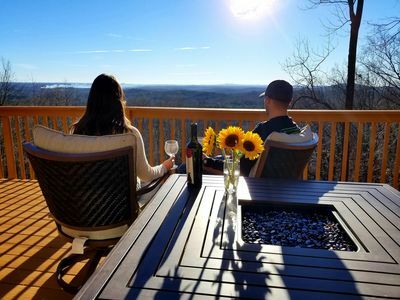 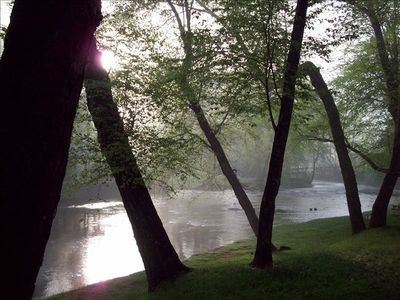 Unwind at Eagles Peak by the Chattahoochee National Forest! 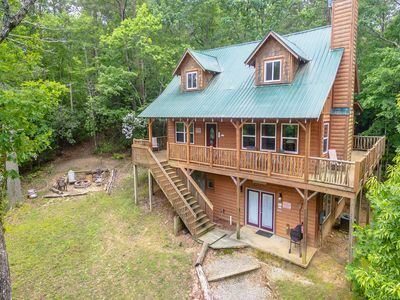 Exquisite Riverfront Cabin with Mountain Views! 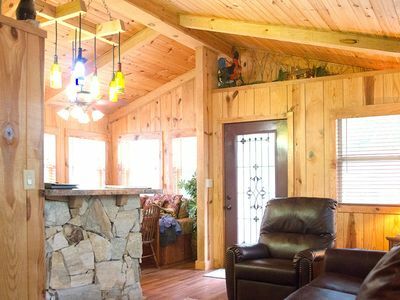 Spring into Fun & Unwind at a Cabin in the Mountains. 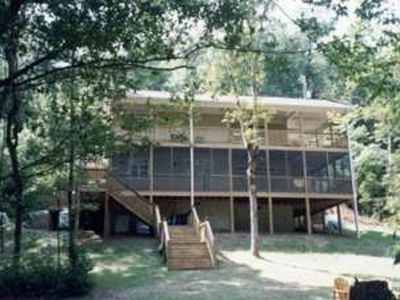 Retreat w/ family/friends.